SMP: Why and when have you decided to move to Thailand to play poker? BlackRain79: I decided to move to Thailand back in April of 2012. I was making enough money playing online poker to do it. I had also just released my first book and the sales were going well. So it really didn’t make any sense not to go. I also come from a very expensive city – Vancouver, Canada. So even though the plane ticket to Thailand was a little pricey, once I got there the price of everything else was far less than what I was used to. The other reason I decided to go is just because I wanted something new in my life, a new adventure. I think one of the best things you can do, especially when you are young, is to go see the world. SMP: Is it an experience that you would recommend to someone else? BlackRain79: Yes for sure. Like I said, especially if you are young, unmarried and you don’t have kids yet, you really have nothing to lose. At the very least you will get an incredible experience of another culture and see a part of the world that you normally would never know. 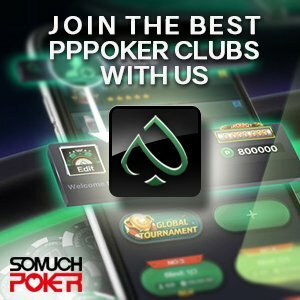 There are also many other poker players all over Southeast Asia who have come here from the US, Canada, the UK, Germany, France, Australia and so on. So you will probably wind up meeting a bunch of new friends as well. Meeting lots of likeminded people like this can really help motivate you to finally start succeeding on a big scale in poker or in online business as well. SMP: What would be according to you the requirements needed to jump in an adventure like this? BlackRain79: I would recommend having at least a few thousand dollars and the cost of a plane ticket (both ways) in your savings. That will give you at least a few months to travel around a bit. If you plan to stay in Thailand or another country long term though, then you should have at least this amount of savings, and also a consistent income as well. Poker is of course a great way to do that. But there are also many other ways to make money online. You should also do a bit of research about any visas that you might need to obtain before leaving. If you just plan to travel around a lot, then you usually don’t need to worry about this. But if you plan on staying in one specific country for longer than a month then you might want to apply for a tourist visa beforehand. You can get this visa at the embassy for that country in your home country before you leave. SMP: What are the common mistakes done by foreign poker players when they arrive in Thailand? BlackRain79:Well that’s a pretty easy one haha. Thailand has a lot of “distractions.” Not only is it an amazing place to travel around but there are tons of partying and girls as well. It can be easy to get caught up in all that. The problem though is that if you want to make it as an online poker pro (or in online business), then you are going to have to be serious about it. You can’t live like a tourist and expect to succeed. So I always advise people when they first come here to just travel around for the first month. Go see some other countries too (Vietnam, Cambodia, Laos etc.). See all the sights, go to the beach parties, eat new food, ride the elephants and so on. If you really want to make it here longterm though, then you should get settled at some point in a cheap apartment. Get a normal routine just like you would in your home country and get to work. SMP: You have been playing Millions of Hands online in Micro Stakes (NL2/ NL5 mostly) . Why did you choose this path when most of the online grinders focused their energy in climbing progressively the stakes? BlackRain79: Well, I didn’t do it intentionally haha. I was actually ready to quit poker to be honest because even though I am one of the biggest winners ever at these stakes, you don’t make a lot of money at them. But then ironically I started becoming popular because of it. There was a website at the time that started tracking and publishing online poker player results. When people saw my results at the micros my profile was getting as many hits and comments as Tom Dwan and Phil Ivey. This allowed me to create a popular blog, coach, teach and even write books on the game. Then I finally started moving up and playing in higher limit poker games as well. So it isn’t exactly a path that I would recommend haha. However, if you become the best at anything, or just take some unique angle, people will notice and this can allow you to create a business around yourself, which I highly recommend. Most poker players should just focus on climbing the stakes and getting to the higher stakes games where there is more money to be made though. SMP: A lot of players are struggling to beat micro stakes online Cash Games? If you had three recommendations to give them, What would they be? 1) Start small and use good bankroll management, there is no rush. No matter how good you think you are start at NL2 (the very lowest stake). If you are crushing it after a week or so, then move up. Do the same thing at the next limit. 2) Play in good games. All the money in poker comes from the recreational players. Even at the micro stakes these days, you have to table select and even site select too. Always make sure there is at least one bad player at your table. 3) Stop tilting. I know this is easier said than done. However, it really is the key to success in poker no matter what stakes you are playing. Do whatever you have to do to make sure that you are playing your best as often as possible. Learn to quit when you are getting frustrated or tired. SMP: You have been able to play an incredible number of hands these last years. What are your tips for a player who want to play more hands without losing his A-Game? BlackRain79: It’s a bit different for everyone. For me, I played a lot of those hands while mass multi-tabling (20 or 30 tables at once). However, I don’t really suggest this anymore because it makes it too difficult to table select and make the best decisions. The bottom line though is that you are going to have to put in long hours at the poker tables and be consistent. In my first few years as a poker pro I would basically just play every day, all day. SMP: A lot of players are telling that there is no future for online players in 2017 mentioning a increase of the overall level, the threat of the bots … What your personal view on that? BlackRain79: Online poker is not easy these days. The overall level of skill has increased in the past 5 or 10 years. Also, there aren’t as many fish. So it is harder to succeed on a really big scale these days. However, I think there is still lots of money in online poker for those who really want it and are prepared to work hard. Regarding bots, this isn’t something that I see as being too much of a threat in the immediate future. The most important thing to always remember about online poker is that the poker sites themselves are really the biggest winners. They are making insane amounts of money through the rake. So they will do whatever it takes to protect the integrity of their games. SMP: You have recently published “The Micro Stakes Playbook”. Can you tell us a bit more about this book and what does it represent for you? BlackRain79: Yes, I just came out with The Micro Stakes Playbook last month, my 3rd book. I recently passed 10 years as an online poker pro and I wanted to put together a “playbook” of the top strategies that I have used to crush the micros over the years. So what you will find in this book are the most profitable strategies to beat each player type at the micro stakes. There are also 50+ hand history examples to highlight exactly how to use these strategies in real situations at these stakes. Also, not too many people talk about what it actually takes to be a poker pro over the long haul. For instance, how to manage your finances, create a work/life schedule and find time to improve your game as well. So a large portion of the book discusses all that as well. More: The Blog of BlackRain79, #1 Winnings of All-Time at the Micros.